The 1897 Society Committee Co-Chairs, Dennis E. and Mary Lea Dutton, with past Co-Chairs Dr. Sandra Stout and William S. Stout. The 1897 Society Committee members: (seated) Wendy Cameron, Sandy Stout, Kathy Welsh; (standing) Jim McCaffrey, Gary Weinstein, Pat O’Brien, Bill Stout, Ralph Andy, Dennis Dutton, John Campbell. 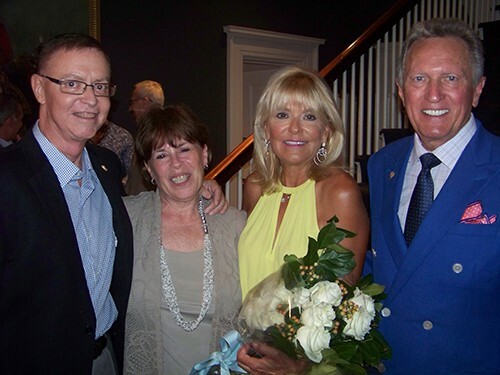 Not pictured are Paul Cullen, M.D., Mary Lea Dutton, Pat McCune, and Alex Paris, III. Since the 1890’s and the fundraising efforts of community volunteers to build the county’s first hospital, the people of Washington have supported this institution and have helped it grow into one of the region’s best health systems. Today a new group of philanthropists is helping lead the way into the future. Members of the 1897 Society provide a much needed source of revenue to Washington Health System that will enable it to continue to provide a full range of health care services to the residents of our community while remaining an independent health care provider. Society Members will support the mission of Washington Health System and Washington Health System Foundation through a one-time gift of $10,000 or more. This gift may be paid in cash, stock, securities or real estate over a period of up to three years. Among the benefits of joining the 1897 Society are invitations to the annual Society dinner and exclusive educational forums. As of July 1, 2018, eighty-three 1897 Society members have committed to almost $3.1 million to Washington Health System to support their greatest capital and program needs.